They're hoping it will never happen. But if a shooter shows up on their campus, students and professors at a university in Michigan may be throwing hockey pucks. (CNN) - They're hoping it will never happen. But if a shooter shows up on their campus, students and professors at a university in Michigan may be throwing hockey pucks. Police and faculty at the school in suburban Detroit came up with the idea after a presentation on emergency preparedness. Oakland University already practices the "run, hide, fight" strategy. But Gordon said one question that came up was what students and professors should fight with. What they needed, he said, was an improvised weapon. The police chief heard all kinds of suggestions on what might be available in a classroom, including chairs, backpacks, staplers, "anything that has weight and would cause injury if you were to throw it." Having some sort of defense in a shooter situation, Gordon said, would "dramatically increase survival." But the hockey pucks are an "absolutely last resort," said Thomas Discenna, president of Oakland University's chapter of the American Association of University Professors. "We hope and pray it never gets used for the purposes we may use it for." 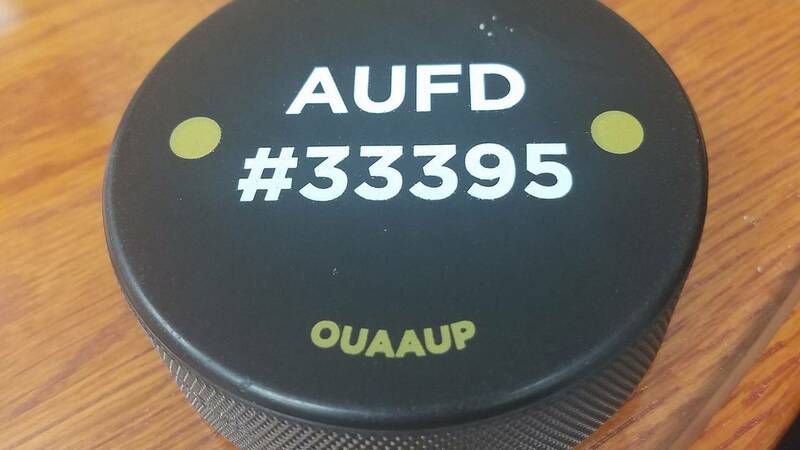 The university's AAUP chapter has already bought 2,500 hockey pucks, the first 800 of which have been distributed to faculty and the rest to students. They cost 94 cents each, said a university spokesman, who added that the student government ordered another 1,000 pucks. "When Chief Gordon mentioned that a hockey puck was an appropriate tool to have at your disposal, we went back and saw how much they cost," Discenna said. "These things are relatively cheap." The chapter also donated $5,000 toward equipping classroom buildings on campus with inside locks. Both the pucks and locks are part of a university initiative to boost preparedness in case of an emergency situation on campus. "The bigger picture is preparing us in having a plan in a classroom," Chief Gordon said. "The hockey puck is nothing more than an improvised weapon, so people know what to do. There's no time to talk about a plan when you find yourself in that situation."